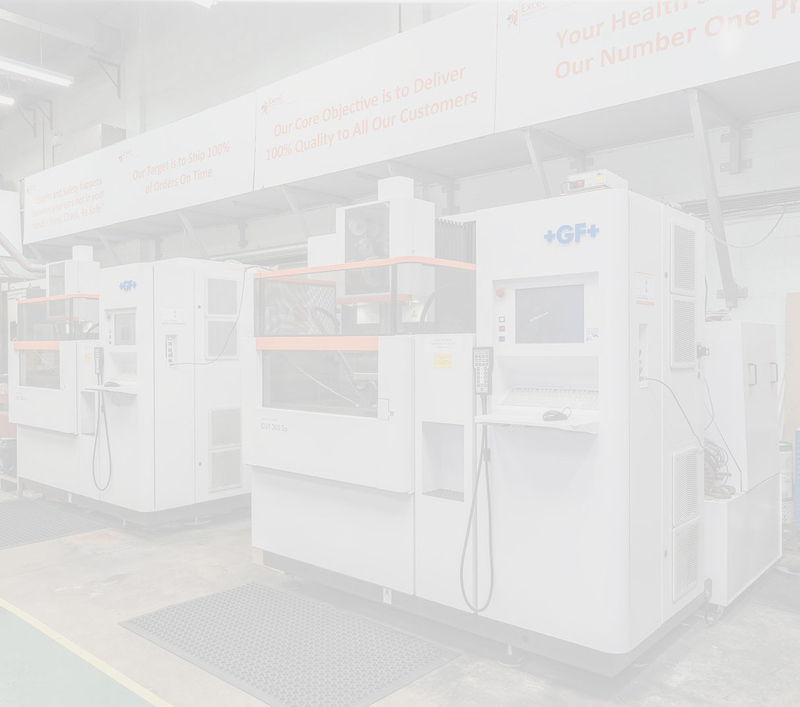 NADCAP & AS9100 Rev D accredited Excel Precision Gloucester and Excel Precision Leeds are part of the Excel Precision Group, the UK's leading group of EDM specialists providing sub-contractor EDM (wire and spark erosion) services to the UK's manufacturing and engineering industries. Learn more about how we can help you and your company. From our operation centres in Gloucester and Leeds we service the local engineering community as well as being able to provide a world-class wire and spark erosion service to the UK’s larger, blue chip organisations in the Aerospace & Defence, Space, Oil & Gas, Petro-Chemical, Chemical, Nuclear, Bio-Medical, Automotive, White Goods and General Precision Engineering Industries. We provide sub-contract EDM services to many industries. Whether you need hugely complex satellite components, or you just need a broken drill or tap removing, Excel Precision (WSE) has a solution for you. Please send us your related enquiries, click the Contact link, fill in a few details, drag and drop your drawing into the file upload area, (we can accept all industry standard formats) we will do the rest, our aim is to respond to all enquiries within one working day. We provide sub-contract EDM services to Aerospace, Defence, Space, Medical, Oil & Gas, Nuclear, Motor Sport, and Precision Engineering. The ability to EDM is independent of the mechanical hardness, it is a non-contact process, however, the material must be electrically conductive. Mettis Aerospace are proud to work alongside Excel Precision for its external machining needs. Excel Precision continually deliver first class service and maintain a profile that fulfils the business requirements. Excel Precision are, and will continue to be, a core company for Mettis Aerospace strategies and requirements. I’m happy to say that Excel Precision are great with communication and have fantastic customer service skills. We are never, ever let down with any of our orders and in the event that an order does happen to slip, we are informed well in advance. Very easy company to work with and the staff are more than happy to go the extra mile for you. Highly recommend taking on business with Excel Precision. I cannot rate Excel Precision high enough. They have assisted me with hundreds of projects over many years and have not scrapped a single job. They offer guidance, technical advice and always offer very realistic completion dates. They also keep in touch during the project so I am always well informed. The finished article is always as expected, accurate and well finished. They have raised the bar on quality and customer service which I have come to depend upon. Many thanks to Andy Robinson and all who work there.